Altos Del Maria. I first visited this gated community with my brother and sister-in-law from Britain in May of 2006. I think we picked an excellent day because the normal cloud cover was gone and the view down to the ocean was awe inspiring. It took us just over an hour to drive from Panama City before we turned off the Pan American highway and headed the 20 kilometers up the mountain to the development. We stopped at Mary's café and had breakfast. Gerald Roam, the owner, was very upbeat about the future of the project - although his cafe is not actually in the project. He offers a much needed service and the view from his restuarant is possibly one of the best in the area. 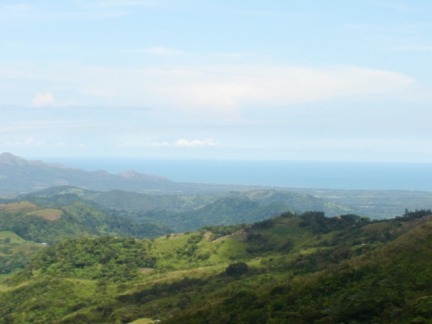 In Altos Del Maria, we looked down at the ocean and the Gorgona Peninsular and had to admit that the view is Panama's best; Boquete and Volcan simply can't touch it. 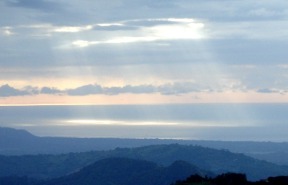 Where else in Panama can you have the wonderful combination of eternal spring climate and ocean view. The project is run by the MELO Group. Most Panamanians know them as agricultural product suppliers, but as developers they certainly seem to know their stuff. 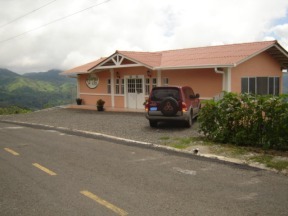 The 40 kilometers of paved roads are well engineered and driving around the development is a pleasure. It's obvious that the MELO group has had to spend big bucks getting this development off the ground. Their investment has paid off as the salesman tells me that the first phase has nearly sold out. Lots in the next phase will run from $60 thousand up. This is high for Volcan but almost a bargain in comparison with Boquete's ever-ascending prices. There is high speed, wireless Internet available, but phone service – that seems to be another story. I was told that an executive from Cable and Wireless lives there and even he can't get a phone line. No doubt all these problems will be solved in the future. But most people in Panama use cell phones, anyhow. Before I visited Altos Del Maria I thought that Panama was basically a two horse race between Boquete and Volcan. Now there is clearly a third horse running neck and neck with the other two: Altos Del Maria. 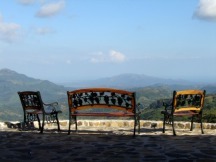 Its location is perfect, the views are spectacular and if you don't mind driving 40 kilometers for bread, cheese and rum on a wet Friday night then Altos Del Maria is the retirement place for you.